Is Your SaaS Company Ready for FASB ASC 606 Compliance Deadline? It’s been called the most sweeping change in decades and the original effective date of 2017 was delayed until 2018 for public companies and the start of 2019 for private companies. Is Your SaaS Company Ready for FASB ASC 606 Compliance Deadline? We are now less than six months from the 2019 deadline and the clock is ticking. The impact of FASB ASC 606 necessitates changes to your tracking, processes, and internal controls. Unlike previous rule changes where adding new intelligence to the accounting system was enough, this rule is about contracts and deliverables with customers—information that often originates outside the accounting system. If you’re struggling to keep up with accounting responsibilities, Edward Thomas Associates can help. By outsourcing your accounting, you can access top financial accounting expertise; industry leading technology; and be FASB ASC 606 compliant. Before you hire, consider outsourcing. You’ll notice benefits almost immediately. Beyond the short-term transformation of accounting operations, you’ll enjoy the long-term benefits of accurate, up-to-date information and business process continuity. We make it easy for you. You’ll love it, as will your executive team and board members. 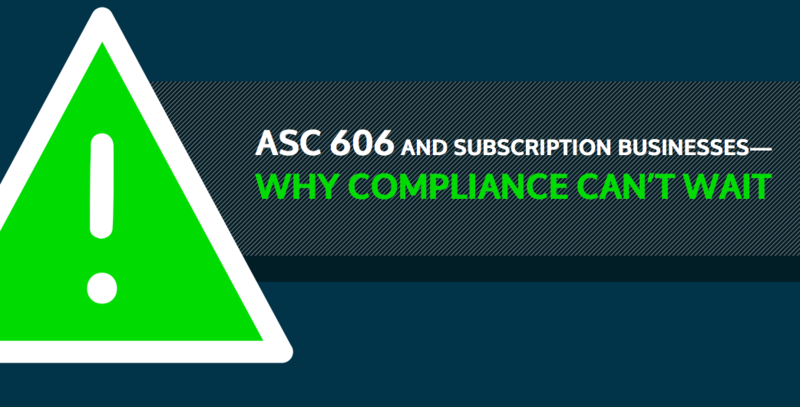 Be sure to download the eBook ‘ASC 606 and Subscription Businesses – Why Compliance Can’t Wait’ but we encourage you to contact us to discuss the specific needs of your SaaS company. Let’s talk about solving your accounting challenges, but also about how better access to critical data can help you fulfill your goals for the company.